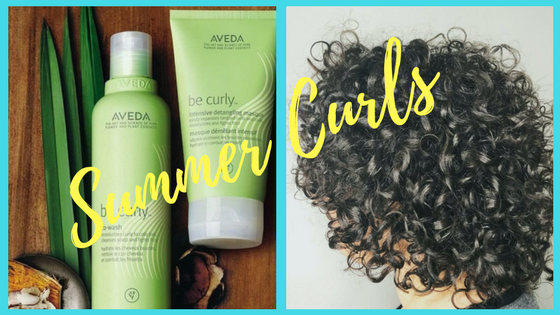 Curly hair always lacks moisture, so the best thing to combat that is using Aveda Be Curly Style Prep, it helps add the lack of moisture into your curls and fights against frizz! 2. Curls Starting to Get Poofy? Yikes! Combine your style prep with Aveda Phomollient to get an extra good against Florida’s humidity! 3. Jumping in the pool? Catching some waves at the beach? Awesome ! BUT, Did you know your thirsty curls lack water all the time, so before you make that big splash you should be conditioning your curls. The result: instead of your hair soaking up that dirty or salty water, it stays protected and and healthy! Tip: If you are looking for a good conditioner, Aveda Be Curly Conditioner works wonders with curly hair. 4. Another amazing hack to taking care of those locks is adding a hair masque to your shower! Sometimes curls need a little more penetrating treatment and a great hair masque will do just that. The bonus: It’s simple to use! After using your shampoo, apply an Aveda hair masque, let it sit for 5-10 min and then rinse. The masque helps penetrate each strand and revive the curls. I repeat don’t, ever brush your curls while dry. It can cause unnecessary breakage. The best thing: while it is damp (or even while conditioning) use an Aveda Paddle Brush, wide tooth comb, or wet brush to detangle. Apply your preferred Aveda products and either diffuse with your blow dryer or let your curls air dry. Your hair is just as important as your skin this summer! Aloha Curls...Happy Summer! the best home care to keep your hair healthy all summer long.